I've gotten a few goodies in the mail lately, plus something I picked up in person. My bookshelf is groaning a bit more nowadays with the addition of these treasures. 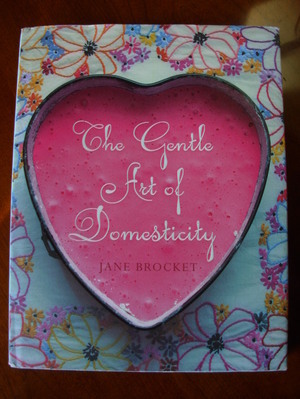 I finally ordered Jane's book, The Gentle Art of Domesticity, from Amazon UK because all the reviews about it were so amazing. I just love it so far, though I'm only part way through. It's one that you can pick up for just a moment and savor over a cup of tea. Lovely! I ordered the Selbuvotter book after an ongoing discussion with Jan about her gorgeous Latvian mittens. 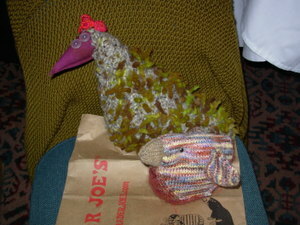 I am also working on some stranded mittens and was glad for Jan's experience in this matter. The Selbuvotter book is really well done and has some gorgeous patterns. 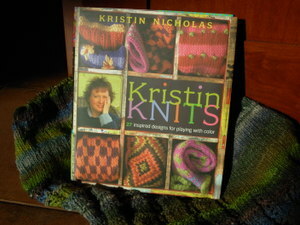 I had a pre-order for Kristin Knits going for a while- how could I not get that one! 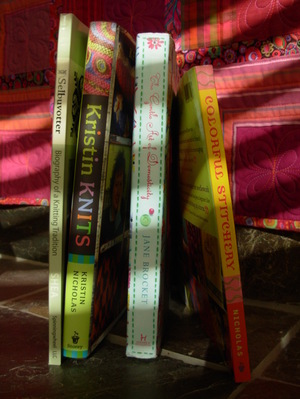 I am a fan of Kristin Nicholas' blog, Getting Stitched on the Farm, and knew when this book was mentioned that I'd be getting it too. The patterns and discussions about color are really glorious. Kristin even signed it for me! 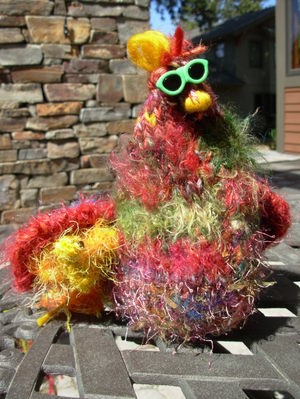 When we were in Portland I also picked up Colorful Stitchery and have found it to be quite inspiring too. 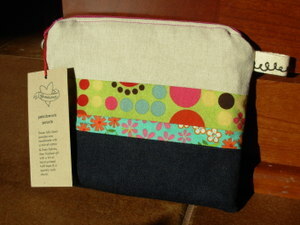 Last, but not least, is this pretty little pouch by Glittergoods. I'm not sure how I came across her blog, but I did and found that she has some lovely items in her Etsy shop. I ordered this to keep in my purse for all the little things that roll around. She also sold some nice hand dyed twill tape that I got in my favorite chartreuse color. I'm a happy camper and now I have plenty of reading material for a while! I hope your Thanksgiving was a good one. 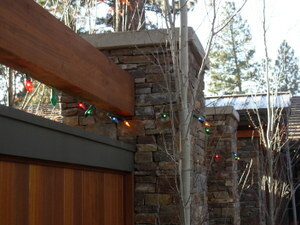 Today we are getting the house ready for Christmas. 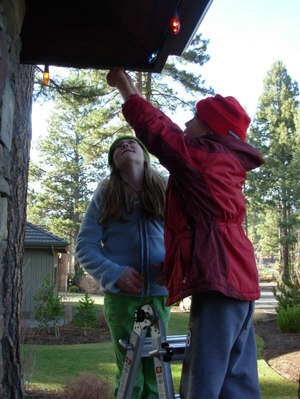 The elves are busy setting out the Christmas lights! You're Anne of Green Gables! Bright, chipper, vivid, but with the emotional fortitude of cottage cheese, you make quite an impression on everyone you meet. You're impulsive, rash, honest, and probably don't have a great relationship with your parents. People hurt your feelings constantly, but your brazen honestly doesn't exactly treat others with kid gloves. Ultimately, though, you win the hearts and minds of everyone that matters. You spell your name with an E and you want everyone to know about it. 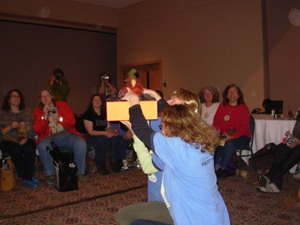 Continuing with Post #2 about Camp Cockamamie... After dinner we had the Chicken contest. 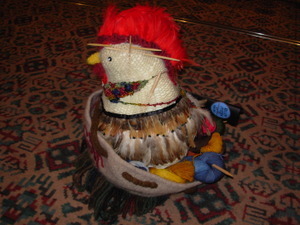 A few weeks before camp we were sent a package containing various yarns and told to make a chicken. We had no idea what for except that they would be judged. Luckily, I took a photo of mine at home. 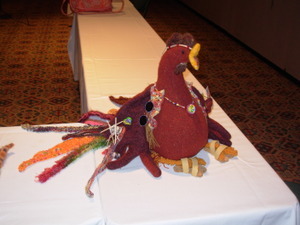 I was hoping for a funky chicken award, but you should have seen how elaborate most of these chickens were! It was so amazing to see the creativity and talent that went into making them! 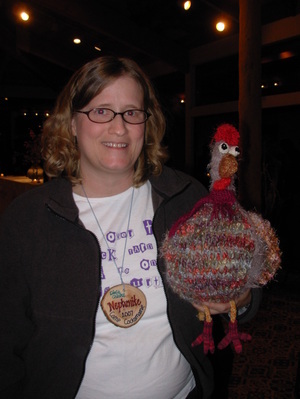 Here's mine with a little chickie under her wing. I didn't enter the little one in the contest, so she's still here with me. The bigger one has gone on to another family, though I forgot to get a photo or the name of the recipient. 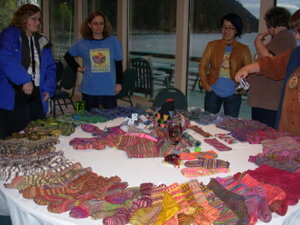 While folks were drifting in for the Chicken Antics, Stephanie made a point to rearrange the sock circle and to get it all in perfect color order. Don't mess with it! 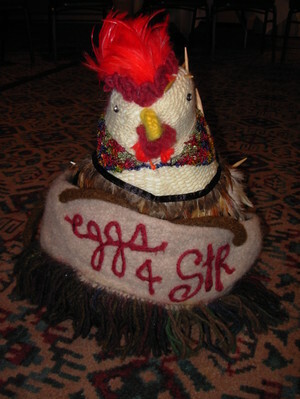 This gorgeous chicken was the centerpiece for the event and is just amazing. This one was made by Chappy. 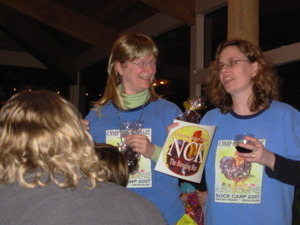 Many prizes were given out for various categories and you'll see them soon, but first Cat and Stephanie had a whole skit about their chicken which was made at the last minute with an egg that they felted around a cabbage in the washing machine (imagine the smell of that combination of cabbage and wet wool!). 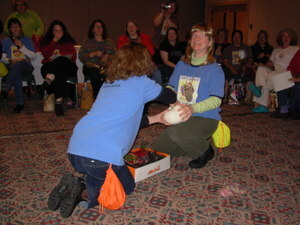 Then, of course, there was the matter of how to get the cabbage out! There was much discussion of the cloaca (where the egg comes out). By the way, the correct pronunciation is clo-ay-ca (not clo-ah-ca). 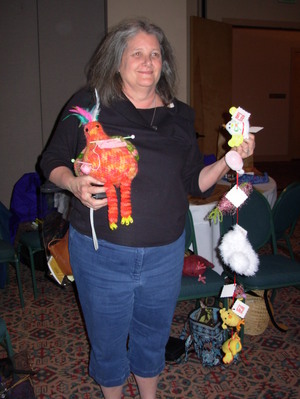 That MS in Avian Science will not be wasted! The egg was filled with lots of little chickies. The judging was done in secret and then we were told we would be playing a game where we might not get our chicken back. This was a left-right story. I decided to stay in the game, but the ones with the really incredible chickens decided to keep them out of the game. I don't blame them! Look at these beauties and notice the incredible variety. 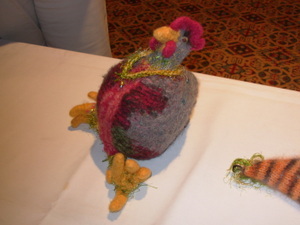 This is Frieda and her mama chicken with a story. 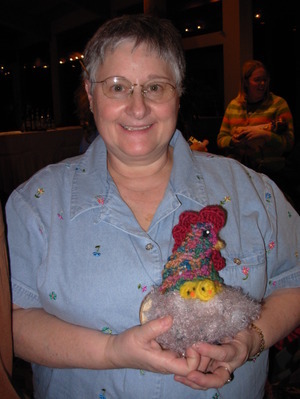 Lou and her Wallace and Gromit style chicken. I love that chicken face! This is Chappy who made the incredible centerpiece above. In addition to that one, she made this little cutie for the game and this is the one I got to bring home. 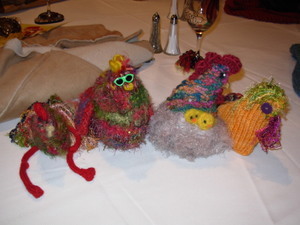 I just love the little felted chicks! Thanks, Chappy! Next up, whale watching (except there were no whales). It was still a fun time- stay tuned!